We all know that exercise is good for you, physically and mentally. But acting on what we know isn’t as easy as we’d like. And going to the gym or taking your workout outside may not be as doable as social media makes it out to be. Life happens, and we end up feeling guilty for not taking care of ourselves as we’d hoped. The good news is that technology has come to the rescue in a big way. It’s made things easier and more accessible. 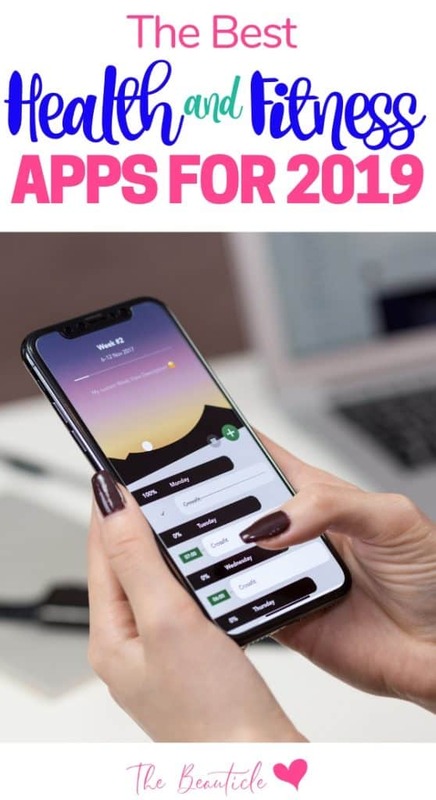 Fitness apps that give you a measure of your fitness achievements have been gaining popularity lately because they’re easy to use and provide a wide range of tools and tips for all fitness levels; from the beginner to the more advanced. They also allow you to choose the duration of your workout so that if you have a busy schedule you can fit in 7 minutes of exercising that actually make a difference in the long run. You can easily sync all your devices, such as smartwatches, tablets, laptops, etc. Now that we’ve read about the benefits and features of health apps, let’s consider the top 10 health apps currently out on the market. The great thing about this app is that it’s designed to help beginners reach that 5K goal. It takes about 20 minutes 3 times a week for 9 weeks. There are virtual coaches who help you along with your workouts and track your progress. Another great feature of this app is that once you’ve accomplished your goal, you can take it a step further and download the 5K to 10K app. Some days are so hectic you don’t have an entire half an hour to spare for exercise. This app fixes that problem with workouts lasting only 7 minutes, with some that target each muscle group. You can choose from individual body-part workouts or workouts for your entire body. They’re quick, easy, efficient, and most importantly, make a difference. This app is ideal for cyclists and runners who prefer to take their workouts outside. Strava helps you track your speed, pace, distance and how many calories you’ve burned. It has personalized workout plans, live feedback during your activities as well as even provides you with more detailed evaluation after you’ve finished which allows you to view certain points in your workout. Qinetic is a video service which lets you stream workout classes so you can enjoy your favorite workout whenever you have the time. The top professionals in the fitness industry provide fitness classes that cover everything, from yoga to Zumba to an intense cardio workout. They also stream nutrition classes to cater to every lifestyle and dietary needs. The best part? They can all be streamed on your Apple Watch. Providing quick, fast-paced, fun HIIT workouts, this app is quick and effective. It also comes with bodyweight and equipment workouts for a more intense calorie burn. All workouts are between 7 and 20 minutes, and it provides you with a virtual coach who gives you feedback and answers any questions you may have. This app is perfect for keto dieters as it helps you to keep track of your macros. When you sign up, you’ll answer some questions which helps to determine how much fat, carbs and protein you should be eating daily in order to meet your goals. Then, you’ll be able to easily tracks your daily food intake, seeing just how much carbs, fats and protein among other nutrients are in your meals. You can also upload recipes or scan recipes to get an idea of the calories and macros in them, helping you to plan your keto meals.